Forum: 9 to 10:30 a.m., James F. Dicke Hall, Ohio Northern University, 525 S. Main St., Ada. With Bob DiBiasio and Jim Rosenhaus. 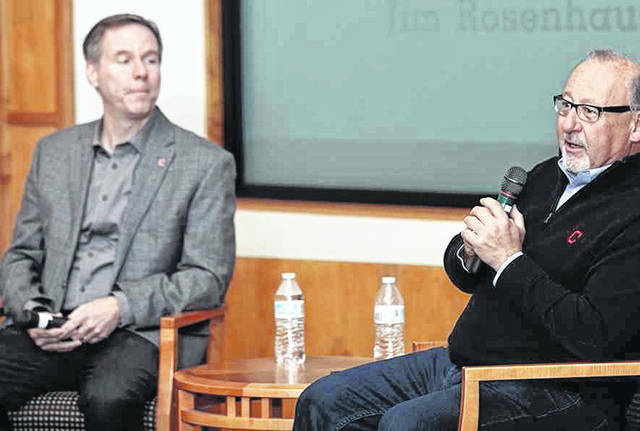 ADA — Cleveland Indians Senior Vice President of Public Affairs Bob DiBiasio and Indians’ radio announcer Jim Rosenhaus will host a question-and-answer session from 9 to 10:30 a.m. Tuesday, Feb. 5, at the forum of James F. Dicke Hall, Ohio Northern University, 525 S. Main St., Ada. They will discuss their roles with the team as well as the current state of the team. The event is free and open to the public.